The publisher already produces a 20-minute daily news briefing that brings listeners the latest updates. "What we wanted to do was to create a shorter, native Flash Briefing," said Dan Sanchez, editor of voice platforms. Additionally, NYT has created a weekly news quiz tied to the Flash Briefings. "The idea is that if you habitually listen to the briefing Monday to Friday, you should be able to play the quiz and do pretty well on it,” said Sanchez. 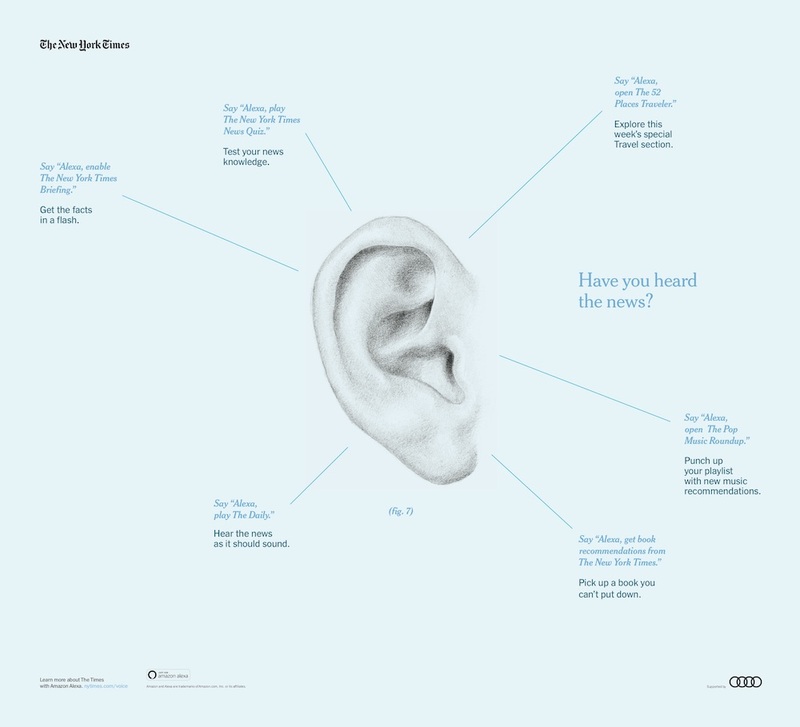 The quiz uses interactive audio so the listeners will hear the question and their device will tell them if they got the answer right or wrong, give some additional context and reveal their score at the end. This is the publisher’s first attempt at using interactive audio on smart speakers. Earlier this month, the NYT also created a companion experience for the 52 Places Traveler, an annual feature in which the publisher announces 52 places to go to and sends travellers to those destinations. 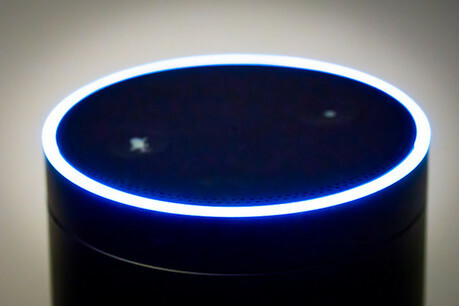 Sanchez explained that Alexa skills helps listeners keep track of the traveller as they go and send audio dispatches back from each location. There are also two recommendation skills: one for music and one for books, which means that the listeners can ask their device for the latest reviews. “NYT uses its audio team to feature diverse voices in their newsroom rather than using a text-to-speech tool,” explained Sanchez. The aim was not to just take the existing podcasts and put them on a new platform but to learn how people use smart speakers natively. “When researching listeners habits, we found out three different mindsets in people who use the technology,” said Monica Drake, assistant managing editor. "First is the 'lean-back experience' when you just want to listen to a podcast, music, or an audiobook. "There's also this need to quickly fulfil a smart home task, for example turning the lights on and off. This fits with Flash Briefing or recommendations. "The third mindset that people are in, and that's still emerging, is this captive mode where people are ready to be fully immersed by the content. That's where we are experimenting with interactivity. It's still an experiment to see whether people want this sort of experience." Drake added that although some people are still getting to grips with talking to devices, many are already using smart assistants on their phones and have found that speaking aloud to a machine feels natural to them. According to Sanchez, one of the biggest challenges is discoverability of voice content, as many smart speakers do not have visual displays. Plus, audiences that do want to search news content on their device, find they are unsatisfied with what is currently on offer. Knowing that discoverability is a challenge, the publisher decided to tap into its large base of print subscribers and feature some of the commands in the Sunday paper. "Print subscribers have already formed the habit," said Drake. "If we want to work the skill into their routine of looking at the Sunday paper, this is a great opportunity to do it." For example, while the readers are catching up with the latest reviews of pop music, they can ask Alexa there and then to play the song they are interested in, then go back to reading the paper.